Sorry, to hear about your acrylic spa repair issues. Without knowing more exact details of what you did or did not do in the original repair, it is difficult to pinpoint the exact cause of the new defects. However, there are several potential causes for these phenomena. You can review them and determine the most likely cause. The corrections that need to be made in your original repair will be obvious. 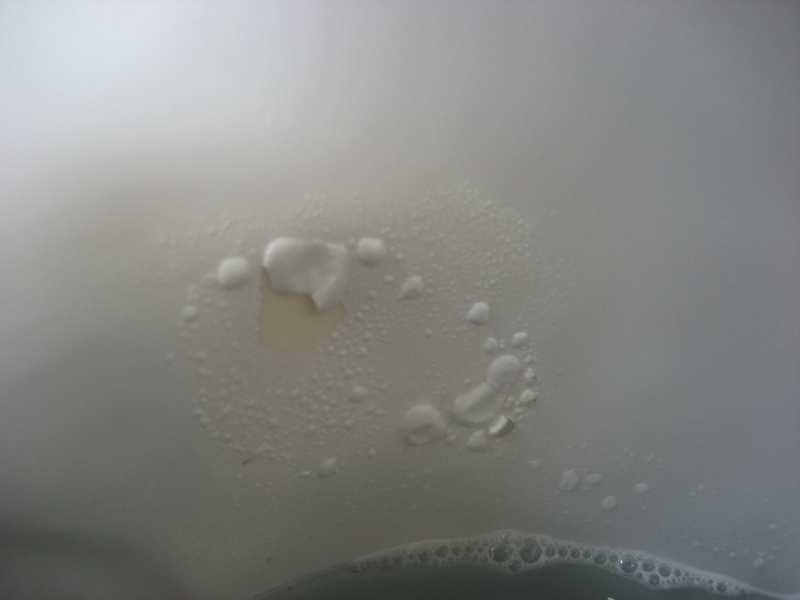 Catalyst level too high in the acrylic filler – Too much catalyst will mean too much peroxide, which will eventually migrate toward the surface and cause the coating to separate from the substrate. Acrylic filler will turn yellow in the presence of excess peroxide. Migration of original blister fluid – If the proper steps were not followed in the original repair to eliminate and block effects of the fluid causing the blisters, then it will continue to create new blisters. There are two critical steps in our procedure to avoid this problem. First, our binding resin and fiberglass mat need to be used to create a new barrier for the blister area. Secondly, the area needs to be heated while exposed to vaporize as much fluid as possible. Heating alone will not prevent the reoccurrence of a blister. The resin and mat are key requirements. Please go to the procedures in the links below to review the details of making a proper blister repair. This next link will provide an explanation of the causes for blisters, and help you understand the requirements for repair. Poor Cure of the Repair Coating – Multi-Tech repair systems coatings (basecoat + K2000 clear coat) require the right conditions to cure and cross-link hard in wet area repairs of tanks, spas, and hot tubs. Beyond proper blister repair techniques and materials at the filler stage, it is imperative that the coating cures to optimum hardness directly after the color and clear coat is applied. If water is accidentally, or otherwise, applied to the repair zone prior to this curing, it will prematurely stop the chemical reaction necessary to achieve the required cure and hardness. The coating will begin to blister and peel away from the filler, as seen in the above picture. This may occur within weeks after the product is returned to service if water is in constant contact of the area. A completely dry environment for a minimum of 5 days must be accomplished to achieve the desired repair results. Always use the MTP clear coat to protect the underlying base coat and filler. Adhere to the minimum 5-day out-of-service period. Prevent the repair zone from being exposed to moisture, etc. during the designated cure period. Place the cover over the spa for protection, but have it elevated with air gaps to promote air circulation into the spa cavity. Do not allow customer to change the spa cover during the critical time period. Use of filler other than the MTP acrylic filler – Repair professionals occasionally try to save money and time by using a polyester-based (auto body type) filler rather than the Multi-Tech Products Acrylic Filler. The continuous exposure to hot water, chemicals, and sunlight are too severe for polyester fillers. High performance acrylic resins are needed for spa repairs. Another potential cause is created when the acrylic filler is used to make the primary repair, but another type of filler (auto body, polyester, spot putty, epoxy, etc) is used to fill in voids in the acrylic filler by using a thin skim coat. These non-acrylic fillers are subject to water absorption, which result in delamination and bubbling of the spray repair coating. Even our ridged Poly Filler will absorb water in a spa environment. It works well for bathtub repairs since they are not filled with water constantly. Special fillers, which are designed for exposure to water and chemicals are required for surface repairs on spas and bath products. Multi-Tech Products has the highest performance fillers in the industry. Steve, the bottom line is that our procedures and materials have been developed from years’ of experience to provide the best and most reliable spa blister repair. Your best chance for success without call-backs require careful adherence to these procedures. Good luck in your future repairs.